What do you do when you have the freshest peaches possible, you eat some you let them soften in the fruit basket and make some yummy desserts and salad with them. I even make pasta with peaches. 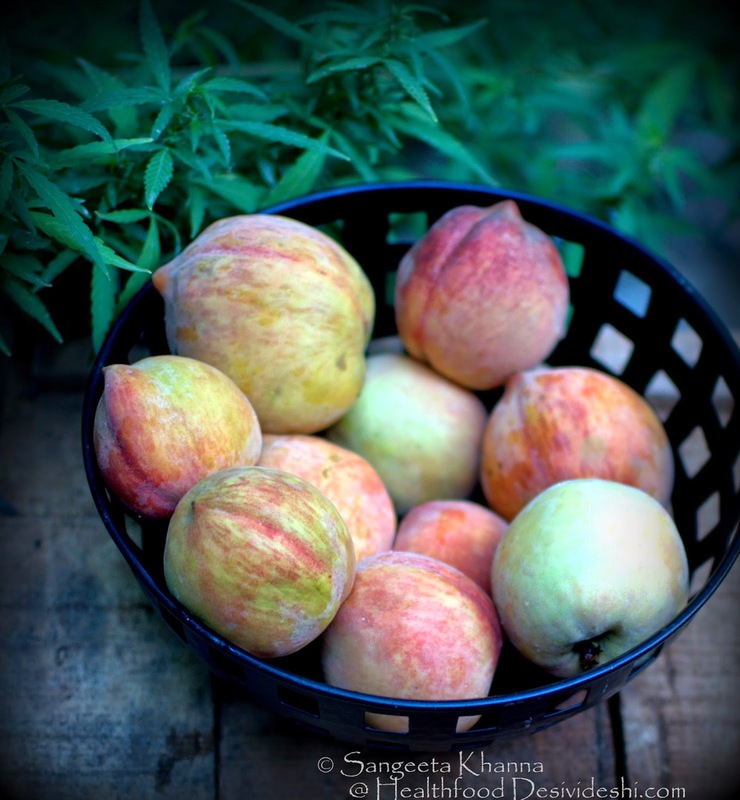 I have been bringing loads of fruits from my frequent visits to Dhanachuli, seasonal fruits freshly plucked from the orchards of fruit sellers themselves most of the times. I have been making jams and preserves for the friends and family as well but those I rarely eat myself. Sugar free fruit desserts and salads are more my type of fruit consumption. 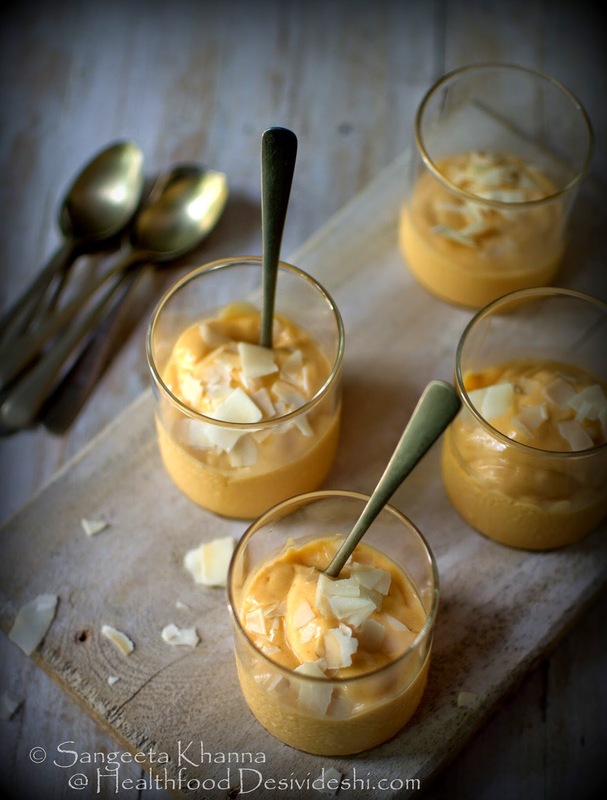 This 'peaches and cream' dessert is actually fresh soft ripe peaches and coconut cream blended together with a hint of Litchi honey. Thats it. Coconut cream can make any dessert great I feel. Especially if you like the subtle sweetness in it and the way it infuses with the chosen fruit. I love mangoes too with coconut cream. 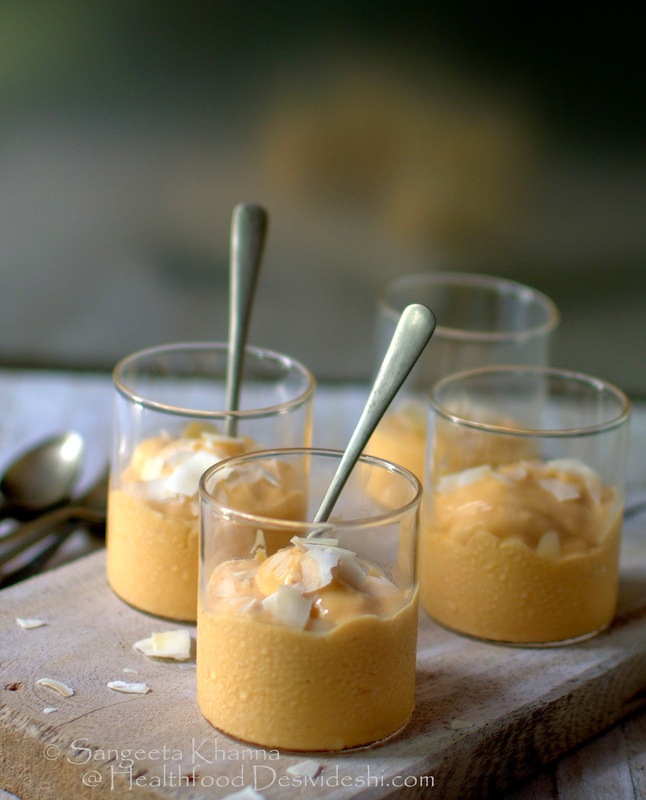 This coconut and cream dessert is almost frozen as frozen peaches and coconut cream is used in it. But the ice crystals get emulsified well when you blend it really hard resulting in a silken texture of this peaches and cream dessert. Halve the peaches and peel the thin skin as you would peel the skin of parboiled tomatoes. Fully ripe softened peach would allow you to do that. Chop and freeze in a container. Freeze the coconut cream in an ice tray to make it easy to blend. Freeze both of these for at least 2 hours. Empty both the contents into a heavy duty blender and blend till completely smooth and silky. 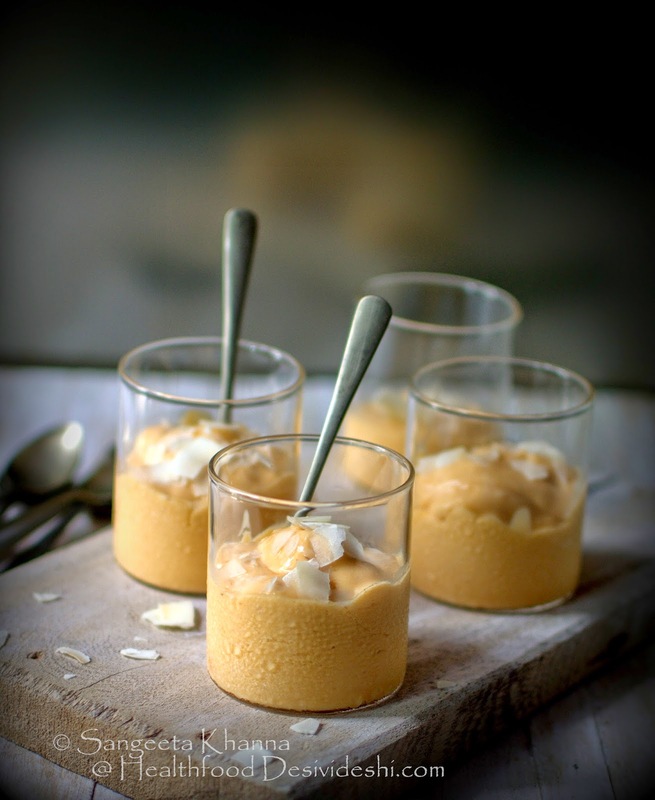 Scoop out the semi frozen peaches and cream dessert into glasses or mugs. I used these beautiful glasses from Borosil, just perfect for such a delicate dessert. Sprinkle coconut flakes over the dessert and serve right away. You can plan this dessert a day ahead and blend right after the meal so it can be enjoyed at the right temperature. You can always use your ice cream maker and serve as desired. You can also make Popsicle with the same peaches and cream dessert if you wish. I don;t mind it even if it is a little softer or creamier. A salad with peaches is also a great way to use up the plenty you have brought home. Aren't you just like me who gets greedy for fruits and buys a lot? I have been making peach salads and peach pasta every season and this version of insalata caprese is quite a favourite at our place. Sometime we just like it with salt, pepper and torn basil but sometimes I drizzle some basil pesto in the salad or just drizzle some garlic and rosemary infused olive oil. I have used fresh paneer cubes and fully ripe peeled peaches in this saald. 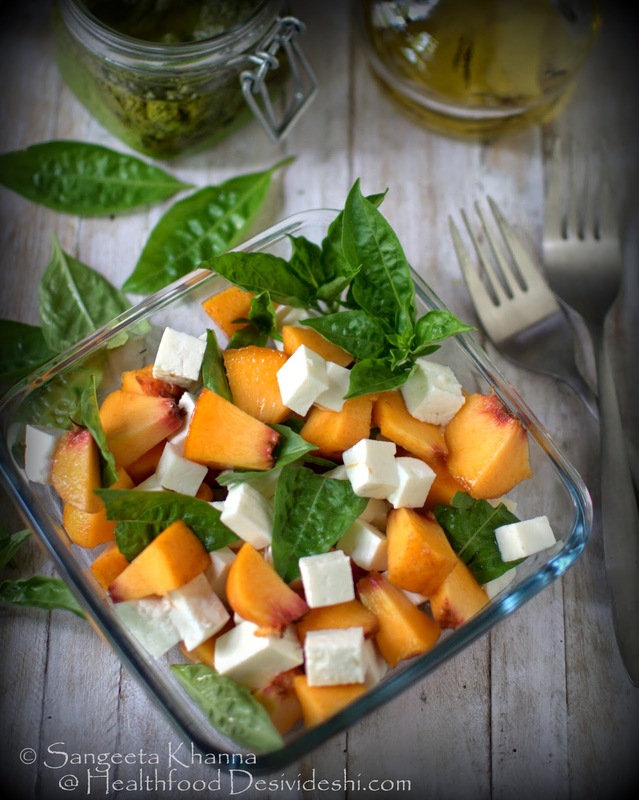 Just chop the peaches in bite sized cubes and toss with paneer cubes and torn basil in a preferred dressing. Sometimes I replace basil with mint and sprinkle some chaat masala to give it an Indian punch. Being lightly sweetened peaches make a good addition to salads and can replace tomatoes in many recipes. 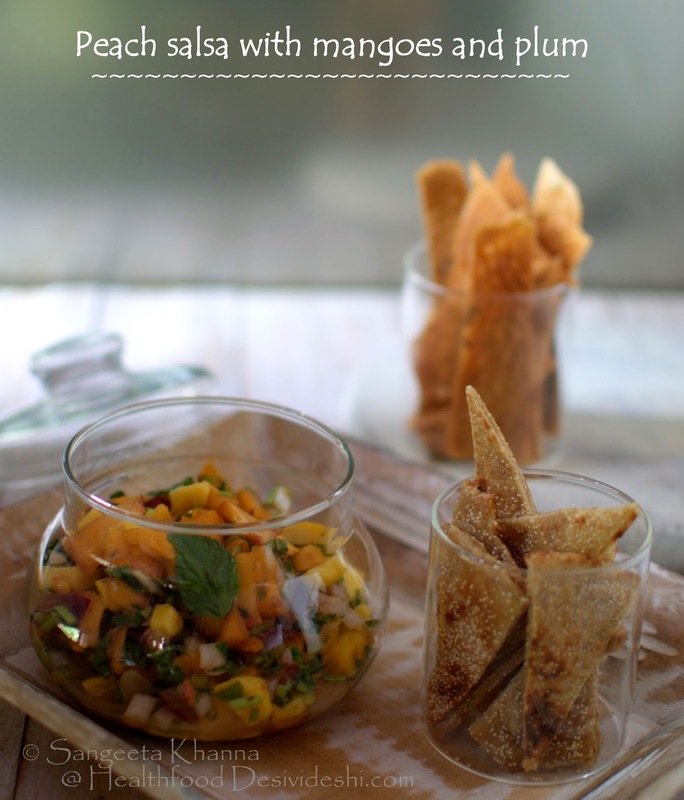 A peach salsa and peach sauce is also really good if you like to spread it over grilled meat or chicken. 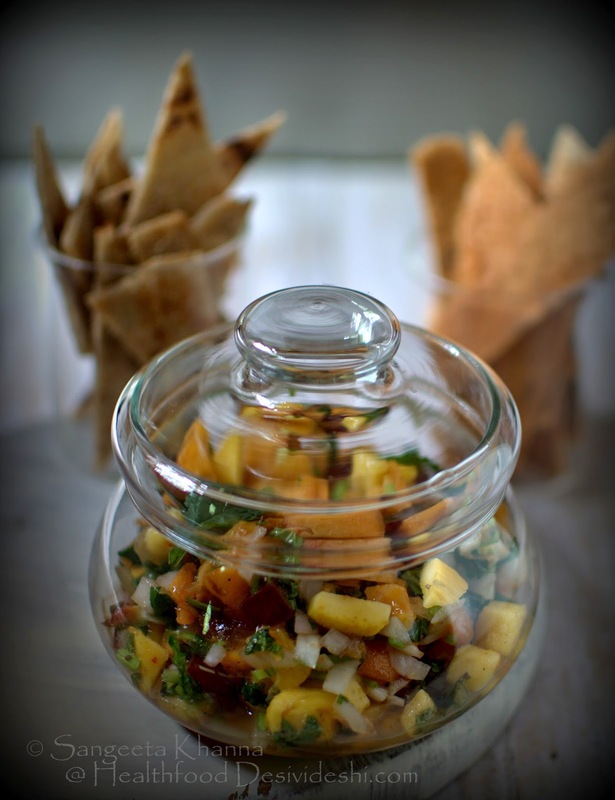 Peach salsa salad has the potential to become your family favourite too. Arvind took this salsa in his lunch box twice this week and loved it. Although I have been making tomato salsa, mango salsa and kiwi salsa as well and he has loved all of them. At least some of our choices are similar. The recipe of the peach salsa salad is really quick. Just cube about a cup of ripe peeled peaches, add 1/2 cup of cubed ripe mango, one ripe plum cubed or a few pomegranate seeds and toss with chopped onion, minced green chillies (as much heat as you like) and some herb of your choice. I love coriander greens and mint leaves in this salsa salad so I use them generously. Add some chopped tomatoes and some chopped cucumber if you wish and season with Himalayan pink salt (or any salt you like) and pepper powder. I added a pinch of dry ginger powder to make the taste deeper and loved it. We enjoyed the salsa with some potato papad (alu ke papad from Banaras, microwave roasted) and few multigrain crackers crusted with poppy seeds. This salsa can be made hot or mild as per taste, you can refrigerate for a couple of hours before serving as it helps melding the flavours better. This lovely jar of salsa will keep enticing everyone as soon as it is served on the dining table. Keep loads of crackers handy for it. 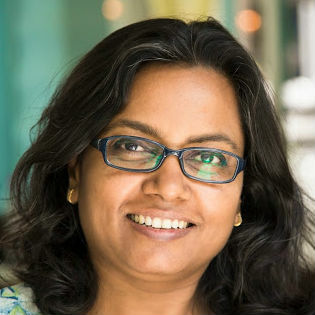 This post is written for the second round of #mybeautifulfood contest organised by Indiblogger and Borosil. For me the food should be healthy first but making it beautiful is not that tough if you get a little creative and prepare the food with love. Serving ware helps a lot you see. You can find more peach recipes on this blog. This peach salad with rucola and feta cheese has been phenomenally popular with friends and family. Peach salad with red cabbage and onions, nuts etc is one more recipe that I keep repeating. 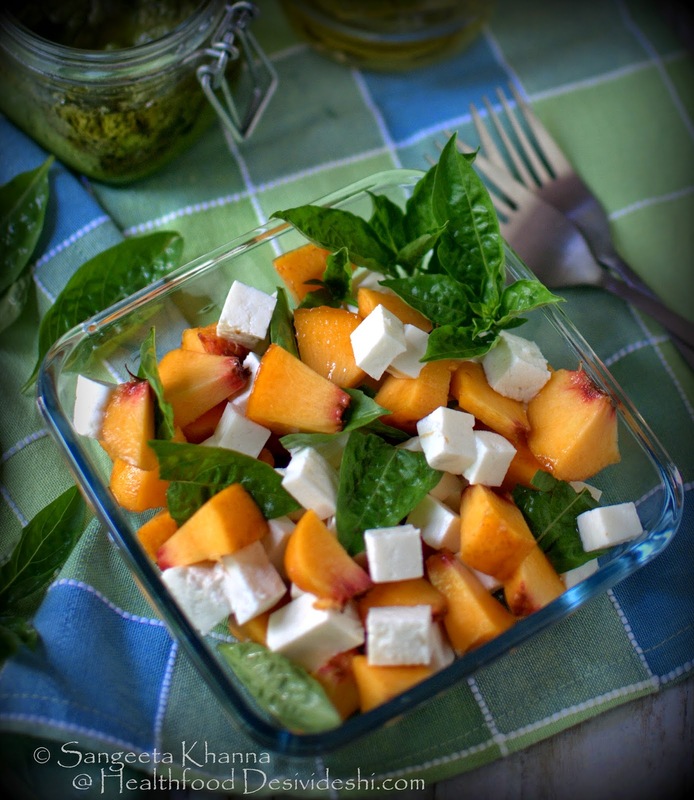 This peach salad with mint has been a perennial favourite too. I even make iced tea with peaches and basil seeds. This pasta with peaches is something you must try. Basically you can replace peaches with tomatoes pretty much all the time or replace half the quantity of tomatoes with peaches. Try and see how you like it. And let me know if you did. 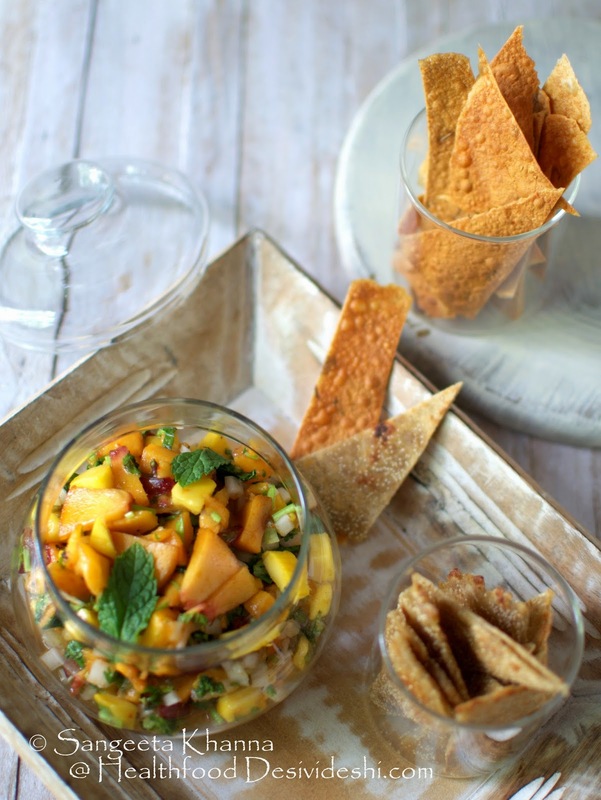 Just gorgeous, peach salsa. ... sounds innovative. .